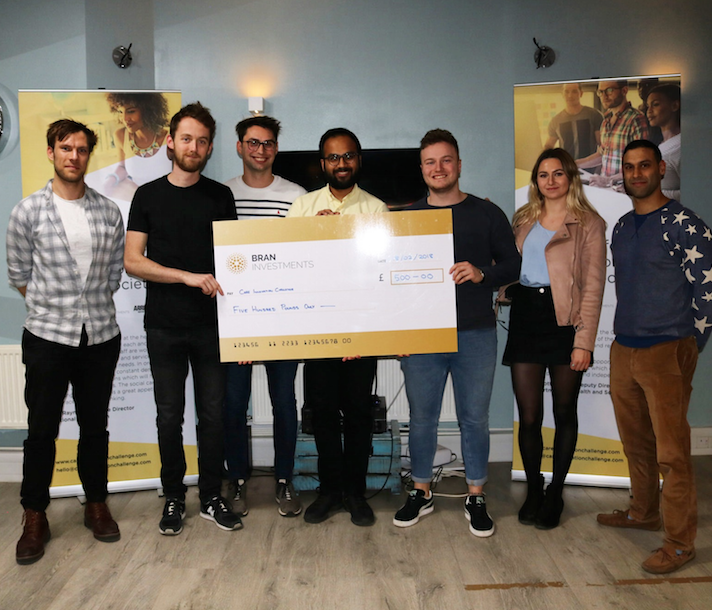 In February 2018, a team of MSc Product Design students travelled to London to attend this year’s Care Innovation Challenge, a competition aimed at kick starting new ideas and solutions for the care sector through inviting students from a range of disciplines to think broadly on ways to create positive change. The weekend ended with teams presenting their projects to a judging panel of industry experts. 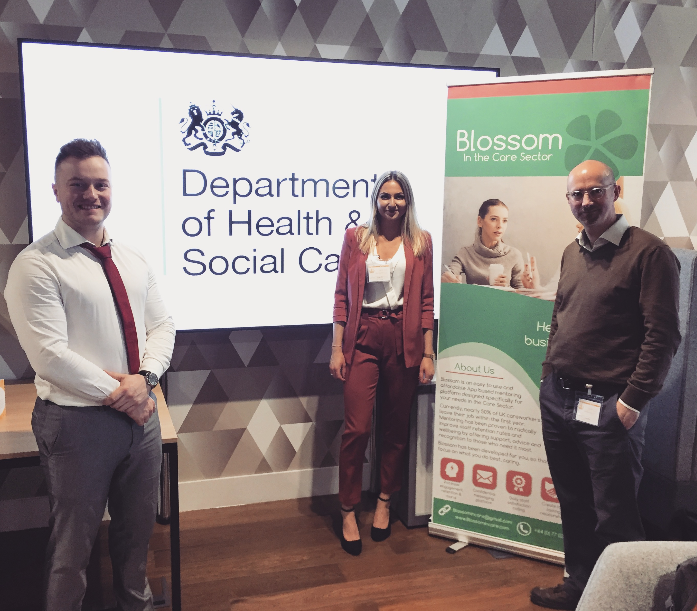 We are delighted to announce that three of our students, Alex, Olly and Verity successfully presented their solution ‘Blossom in Care’ and were amongst those chosen to go through to the next round of the Care Innovation Challenge. As part of their prize they were awarded a £500 project fund, £100 personal prize for each member of the team and an experienced mentor. March 2018: Following the initial win, over 4 weeks Alex, Olly and Verity developed their concept and in March, joined the top 5 teams from the Care Innovation Challenge weekend, at the Cabinet Office (central London) to pitch again to a panel of judges. Following presentation, the team were highly commended, coming joint second. Since March, the students have presented at the National Care forum and Agile Aging Alliance and attended the ‘Rising Stars’ dinner. ‘We were told about the Care Innovation Challenge by the Centre for Entrepreneurship. The first stage of the Care Innovation Challenge was a weekend hackathon in Wimbledon. The weekend was a very rewarding and enjoyable experience with a range of people from different disciplines working together to try and solve the big issues in the care sector. At the end of the weekend each group pitched their innovative ideas and these were then shortlisted to go through to the next round at the Department of Health and Social Care. 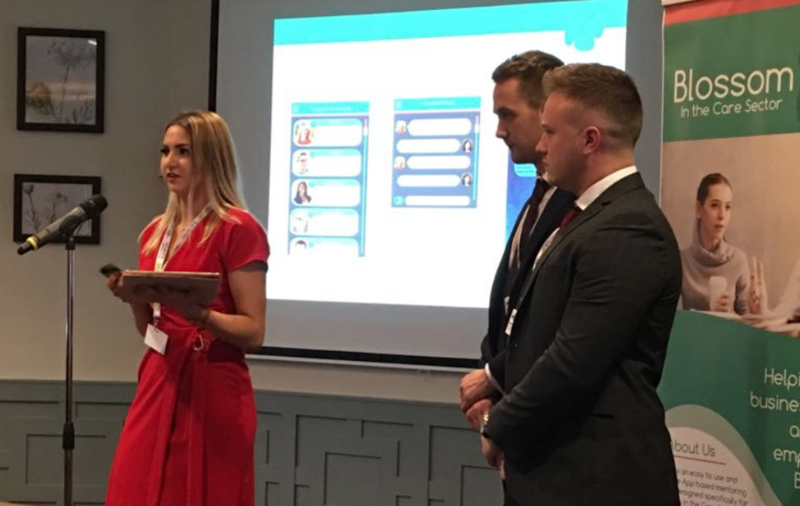 The judges saw the potential in us and our idea as it tackles the number one issue in the care sector, (that is low staff retention rates) and so we were awarded a £500 Development fund and put through to the next stage of the process. Over the next 4 weeks we developed our idea with the numerous trips to care providers and support from two mentors which took our idea to a viable business. The pitching at the Department of Health and Social Care went very well and we were awarded second place as well as receiving a lot of positive feedback. 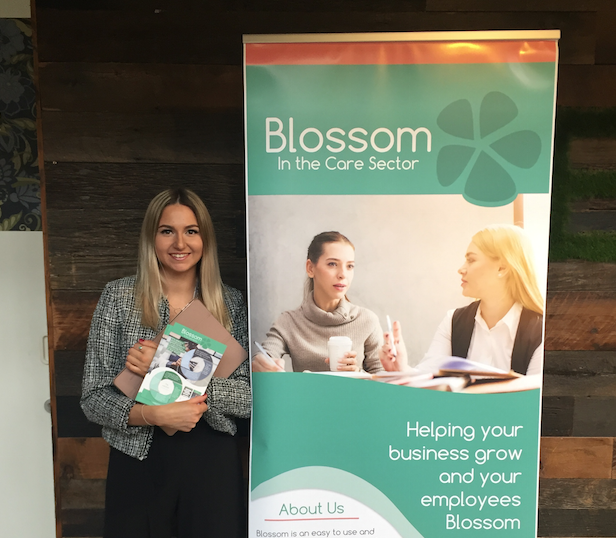 The next stage took us to the National Care Forum where we had the opportunity to pitch and network with 300 CEO, managers and influential people in the care sector as well as being invited to the Rising Stars Future Leaders lunch. This was also another great success as we had a number of people show expression of interest in helping us to develop and implement our app in their care facilities. We are now focused on getting our product to market and are in discussions with care providers and app developers.